Grief is a normal and natural response to loss. It is not a problem to be solved, but rather a way of coping. By definition, grief is the range of emotions an individual experiences following the loss of a significant person, thing, or event. It is a healing process that is unique to each person and occurs with any type of loss: the death of a loved one, a divorce, losing a job, an unwanted medical diagnosis, or a chronic, debilitating condition. Understanding the emotions and changes that accompany grief can be an important step in supporting others and yourself! The problem is that grieving isn’t acknowledged and honored in most of American society, so you aren’t alone if you weren’t taught very much about this painful process. The author C.S. Lewis said after losing his beloved wife to cancer, “No one ever told me grief felt so much like fear.” Learning about the feelings and thoughts that accompany grief can lessen your fear and anxiety surrounding it. 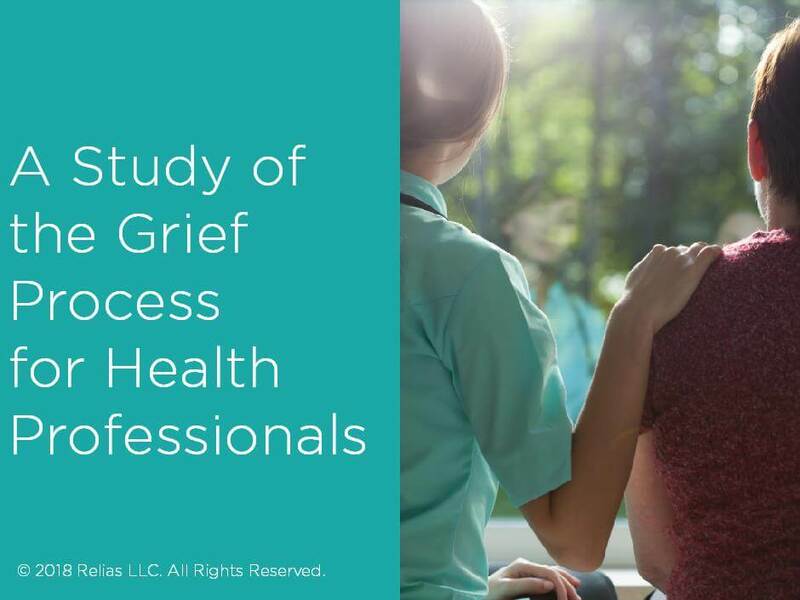 In this course, you will learn a basic understanding of the grief process, the different types of grief, and ways of expressing it. You will learn about the gifts of grief and that it is an agent of change. Finally, you will also learn some tools to help you stay present and resilient as a healthcare professional journeying with clients and families. Apply at least 2 grief models to client circumstances. Define 3 types of grief and their contexts. Recognize 2 gifts of grief that apply to the general population. Learn at least 2 ways to stay resilient in professional practice. Heidi Gessner, MDiv, BCC, is an Ordained United Church of Christ Minister who serves as the Bereavement Coordinator and Palliative Care Chaplain at UNC Hospitals in Chapel Hill, North Carolina. She felt deeply called to end of life and grief work after her own father's journey and death from lung cancer in 1994. She developed and created UNC Hospital Bereavement Support Services with a goal of attending to the emotional pain that is the result of loss and death. Heidi provides emotional and spiritual care, as well as grief counseling to clients, families, and staff. In addition to connecting with clients, families, and staff in the hospital, Heidi facilitates grief support groups and writing workshops in the community for individuals grieving the loss of a loved one. Heidi is also an active member of the UNC Hospitals Critical Incident Stress Management (CISM) Team, which responds to unexpected, traumatic events within the hospital. Disclosure: Heidi Gessner has declared that no conflict of interest, Relevant Financial Relationship or Relevant Non-Financial Relationship exists. Susan Heinzerling is a Certified Hospice and Palliative Registered Nurse who has practiced hospice nursing for over 4 years both in a large, urban area and a rural setting. Susan started her nursing career as an acute care Medical/Surgical nurse. She earned a B.S. in Biology from the University of North Carolina at Chapel Hill in 1991 and a Master's degree in Physiology from North Carolina State University in 1996. She became a Ph.D. Candidate in Immunology at the University of South Alabama in 1999. Her research experiences in biomedical science led to an interest in evidenced-based practices, and she earned a B.S.N. from the University of North Carolina at Chapel Hill in 2005. Renal patients in acute care, with multiple chronic conditions and repeated hospitalizations inspired her practice of hospice nursing where she began as Hospice Admissions Nurse. In addition to this role, she has worked as Hospice RN On-call and most recently as Hospice RN Case Manager. Disclosure: Susan Heinzerling, RN, CHPN has declared that no conflict of interest, Relevant Financial Relationship or Relevant Non-Financial Relationship exists. The target audience for this course is: entry level Professional Counselors; entry level Social Workers; Nurses; in the following settings: Hospice, Palliative Care, Post-Acute Care.